or get creative & plan an outcome greater than the setback. There's a little bit of madness here at bloc right now. Last week we had a seemingly perfect gameplan: stain the floors on Thursday/Friday, seal them on Saturday, & be back open for business on Monday (today). Insert Monday morning: the floors are still tacky from the second layer of stain we added on Friday morning. SH*T.
As a small business, we do everything ourselves. We learn how to do the things way out of our comfort zones, become jack of all trades, pull up youtube tutorials, & constantly tackle the foreign and ambiguous. But, ADVERSITY WILL ALWAYS ARISE whether it is things in our control or not. We could not control the weather & the humidity, & learned in hindsight that we should have wiped off excess stain when applying the second coat. Well, hindsight is 20/20 and we aren't afraid to flex our agility muscles. These are lessons that we stress over moment, but ultimately learn from & becomes a part of the story. THE MOST INTEGRAL TIME IN THE ENTIRE PROCESS, though, IS IN THE MOMENT. Control your reaction. You'll have a moment of panic. Quickly shift. 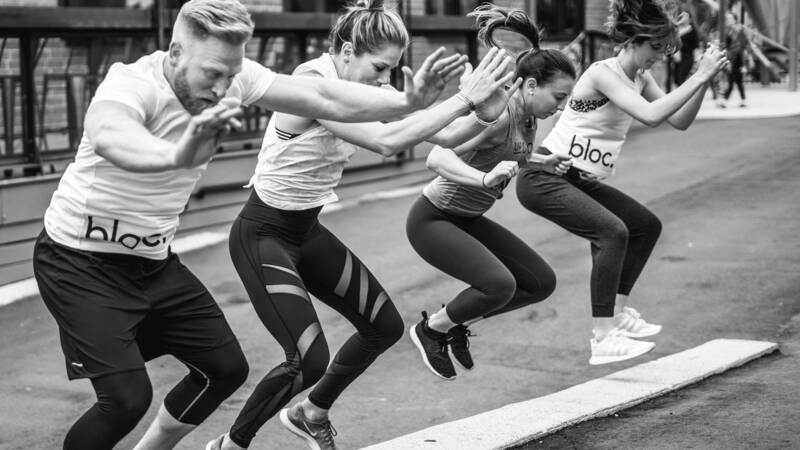 OUR GOAL IS TO PROVIDE INCREDIBLE FITNESS & AUTHENTIC CONNECTION. Even though our doors are closed this week, we refuse to let that to stop us. We've witnessed you make strides in your goals, & fitness habits over the last month, so let's keep going! We know that the magic really happens in our relationships so we are leaning into those. We also, want to support & keep your best interests in mind, with nothing lost or sacrificed on your end. 2. HOW DO YOU ACHIEVE THAT IN A NEW WAY? WE UTILIZE OUR CONNECTION IN THE COMMUNITY to do exactly what we preach "collaboration not competition." We have created a schedule for the week of great opportunities for you to sweat, connect, & enjoy a little adventure right alongside us! We are extending memberships for 2 weeks for those of you who have the unlimited month, as well as crediting you the cost of any classes you're attending outside, that are within the schedule listed below. 3. BE HONEST & COMMUNICATE. Here we are :) We will also be updating Instagram story & Facebook, for those of you who keep up with life via social media (as most of us). If you're reading this email, mad respect to you for taking the time to read things, in this day & age. Share back with us! Please respond with questions, concerns, or ideas! DON'T BE TOO PROUD TO ASK FOR HELP: To be honest, we realize that we are a new business. We have a small amount of dedicated enthusiasts, but are nervous to lose anyone, or lose traction we may have been picking up. PLEASE, do us a favor, & share our/your story with others. Invite them along for the CRAZY RIDE!